Are you travelling to China from Melbourne on a business trip or holiday tour? You will need local Chinese Yuan Renminbi currency as soon as you land in the country. Danesh Exchange offers top quality AUD to CNY currency exchange offering high exchange rates and no commission or conversion fees at all. 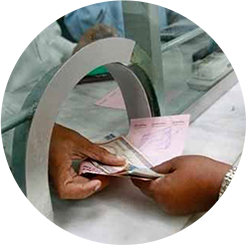 We have been serving local since 2009 and provide best currency exchange services for our clients at all times. Why not purchase Chinese Yuan Renminbi online? Danesh Exchange online ordering system allows customer to place their order for foreign currency online and collect from the store. The new service allows customers to order more than 65 currencies at best rates just three easy steps. Danesh Exchange prides ourselves on maintaining a 0% commission policy on all exchanges. Chinese Yuan Renminbi is no different. Our highest exchange rates are backed up by the fact that you will not have any amount deducted from your actual cash as we just offer high exchange rates and no hidden commissions or cut offs at all. No matter how much cash you need to exchange and how instantly you need it, our high quality office will fulfill all requirements. Gone are the days when you had to trust once twice verified exchange rates from your local money exchangers in . Danesh Exchange provide live updated exchange rates that are connected directly with the Chinese official currency. Our live screens not only show accurate exchange rates for every hour but you can also get expert advice on when to actually exchange your Australian Dollars yielding highest amount of Chinese Yuan throughout any given day. One of the most distinguishing features Danesh Exchange has over other currency exchange service providers in Melbourne is out ability to maintain an absolute $0 commission policy on all currency exchanges. We place the Chinese Yuan Renminbi under the same category and put no commission or exchange fees in our client’s invoices at all. Our AUD to CNY exchange service is always the greatest in Melbourne offering client’s on-spot CNY for their AUD with highest exchange rates at the same time. You will never have any wasted visits with Danesh Exchange. We always have your required amount of CNY in our stocks along with many other currencies that you might need including USD, GBP, EURO, SGD, NZD, CAD, FJD, IDR and many more.